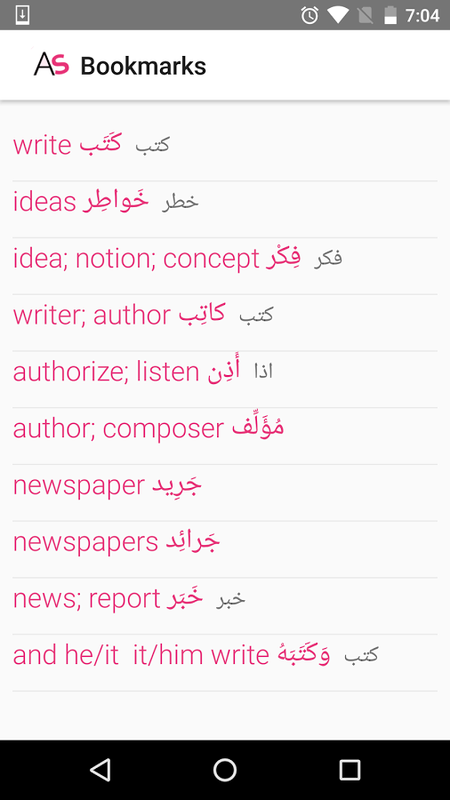 Arabicstems is a reference tool for beginner students and researchers who are studying and/or reading texts in Arabic. 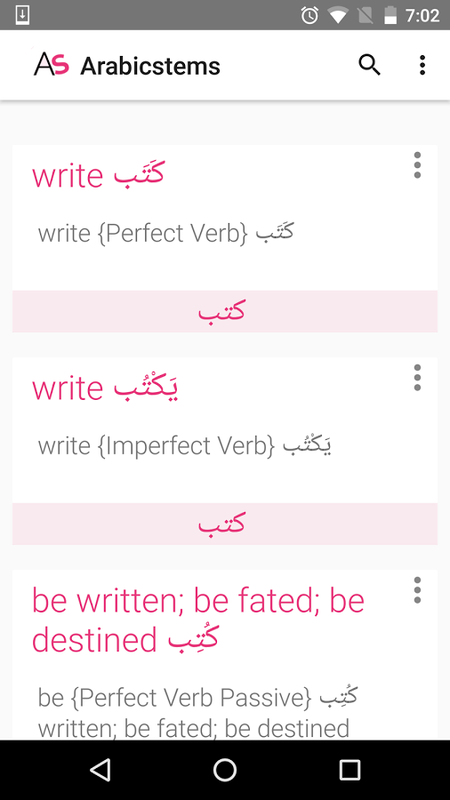 It is a simple tool that allows users to enter a word/compound word in Arabic or English and upon doing so will create definitions from a dictionary. The word will be morphologically analyzed and then its prefix, stem and suffix will be displayed as well as any other possible meanings for the word. Additional information, such as the root of the word and grammatical information is also displayed. The user will know whether the word is a verb (and the type of verb), noun, preposition, passive voice, active voice, etc. "The data consists primarily of three Arabic-English lexicon files: prefixes (299 entries), suffixes (618 entries), and stems (82158 entries representing 38600 lemmas). The lexicons are supplemented by three morphological compatibility tables used for controlling prefix-stem combinations (1648 entries), stem-suffix combinations (1285 entries), and prefix-suffix combinations (598 entries)." 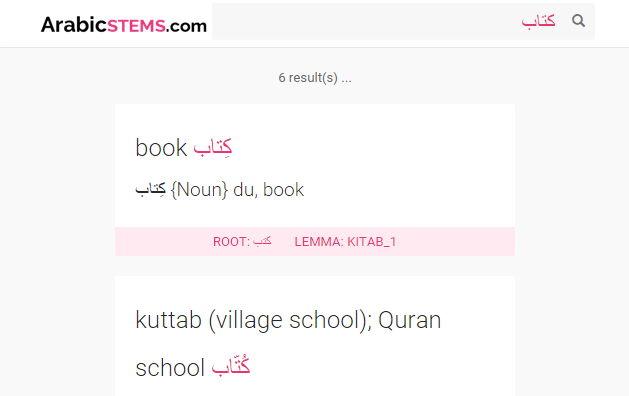 You can search words for example وكتبه wa-kataba-hu and it will break everything into different parts as well as giving the root word.